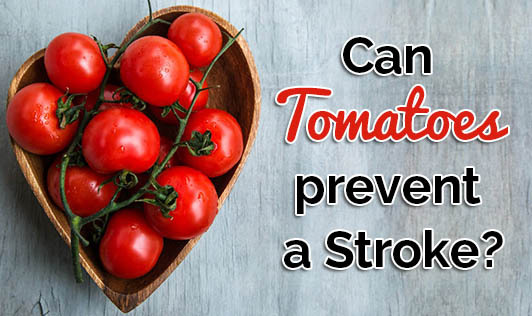 Lycopene, the red pigment present in tomatoes, watermelons and red peppers, is the magic component known to reduce the risk of a stroke, and tomato specifically has significant amounts of this pigment. A Finland research concluded that Lycopene, present in tomatoes acted as an antioxidant, reduced inflammation and prevented blood clotting. This in turn reduced the risk of a stroke. This should not deter you from eating other fruits and vegetables other than tomatoes, as each fruit and vegetable have their own unique nutrient that is required for your health. The researchers also concluded that people, who included more than five servings of fruits and vegetables in a day, are less prone to lifestyle disorders and run a lower chance of developing a stroke. However, more research is needed in this area to understand why lycopene can help reduce the risk of cancer. Till then, do not forget to include tomatoes in your salad!